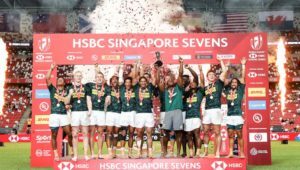 Kyle Brown scored a late try as the Blitzboks edged Australia 12-10 to finish fifth at the Sydney Sevens, while New Zealand beat the USA 21-5 in the final. 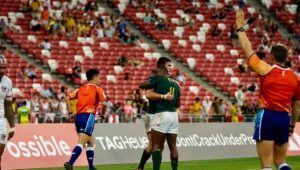 In a game of little significance, the Springbok Sevens and the hosts produced a high-octane contest. The game was played at a rapid pace and the breakdown battle was a ferocious affair. 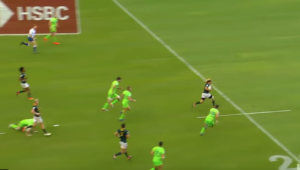 Australia threatened to cut open the Blitzboks’ defence early on, but when they were penalised for sealing off on the ground, Selvyn Davids took a quick tap and cantered 80m to score at the other end. Australia would score in a similar fashion. With South Africa hot on the attack, a huge hit on Stedman Gans dislodged the ball from his grasp and Australia snatched possession and went the length of the field, with John Porch receiving the final pass to score. 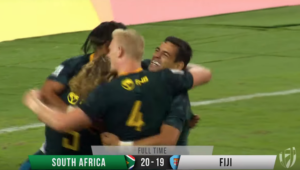 A try to Nick Malouf put Australia in the lead, but with the clock winding down, the Blitzboks went on the offensive. 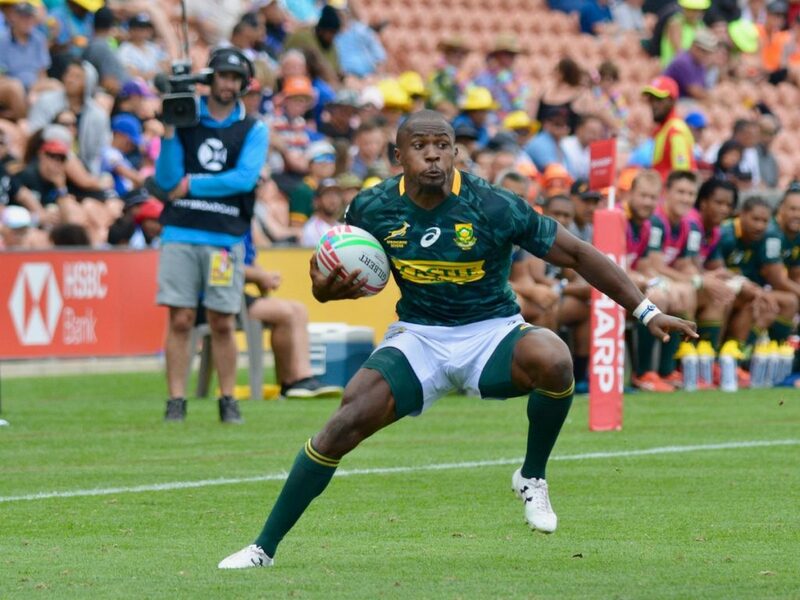 Siviwe Soyizwapi made a crucial linebreak to get in behind the defence and from there South Africa swung it back the other way where Brown was well-positioned to dot down in the dying moments of the clash. New Zealand were crowned champions after they beat the USA 21-5 in the Cup final. Tries by Regan Ware, Sam Dickson and Tone Ng Shiu gave the Kiwis a 21-point lead. The USA scored a consolation try midway through the second half and have now lost four finals in a row. England claimed a stunning 19-17 upset win over Fiji in the bronze medal match. Both teams scored three tries, but an extra conversion from the boot of captain Tom Mitchell turned the result in England’s favour.